You can have access to expert San Jose water heater installation and replacement when you call (408) 933-9874. Fast service and honest pricing everyday. Just let our plumbers know what is wrong and we will provide you with the most practical, long-term solution possible. Save money with online sales and coupons when you click here now. Water heaters are integral parts of the modern household, and when they aren’t working correctly they have the power to throw any household into disarray. No hot water means frustrated family members and a whole lot of discomfort. When you have access to a dependable plumbing team that can diagnose and solve your water heater issues quickly, it makes any breakdowns much easier to handle. If you’d like to see what people in your area think of our range of plumbing services, click here now! Water heater damage can show itself in several different ways, aside from running out of hot water altogether. No hot water is certainly a strong sign, but there are other more subtle signs that can indicate a water heater problem. If you notice moisture around the base of the tank, there is likely a leak inside that needs attention. If the water from your faucets is rust colored, that is also a sign. 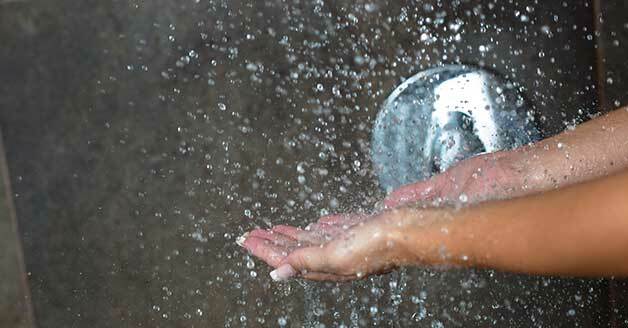 Fluctuating temperatures when you want hot water may be a sign, as may low water pressure. If your water heater is showing signs of damage, call Genmor Plumbing for professional water heater services. Do I Need a Bigger Tank? Sometimes, builders try to save money when building new homes and install water heaters that aren’t quite big enough for the size of the house and potential number of occupants. If you find that you run out of hot water often, you may just need a bigger tank to meet the demand. If you have had renovations done to your home to make it bigger, that is another scenario where upgrading to a bigger tank might be a benefit. For the average homeowner, the only rules when it comes to installing a new water heater or replacing an old one, are to call a professional plumber with extensive water heater experience and let them get to work. For effective and efficient long-term water heater performance, DIY is not the way. When you call Genmor Plumbing at (408) 933-9874 in San Jose, CA and the surrounding area, we will provide you with top of the line water heater services, to keep the hot water flowing and keep your family happy.